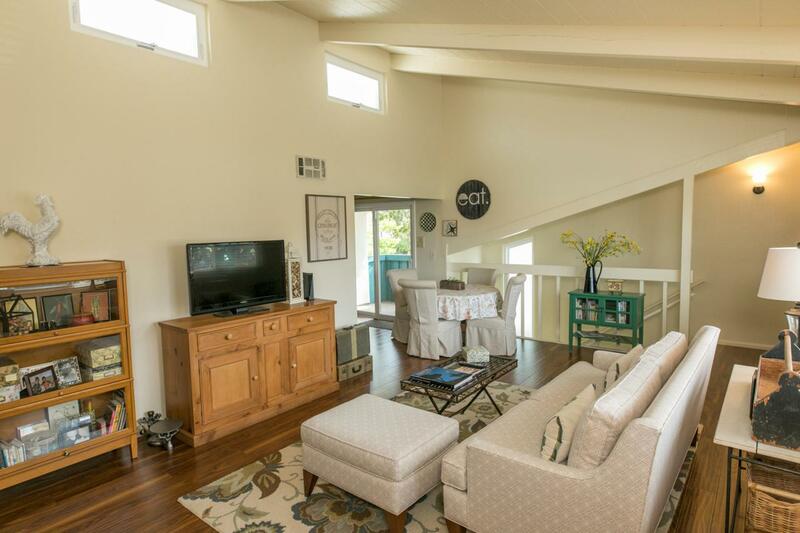 This spacious South-facing upstairs unit offers single level living with vaulted ceilings throughout & lots of natural light. 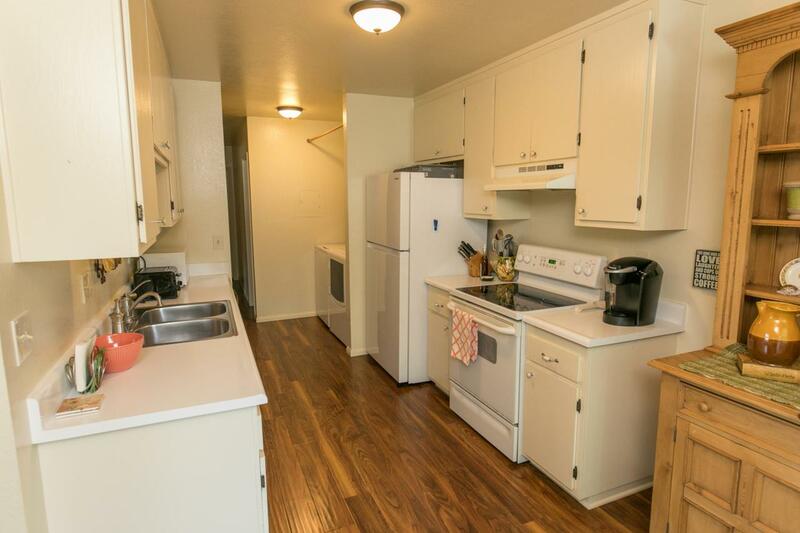 Newer dual-pane windows, quality laminate floors, updated lighting & 2 private patios. 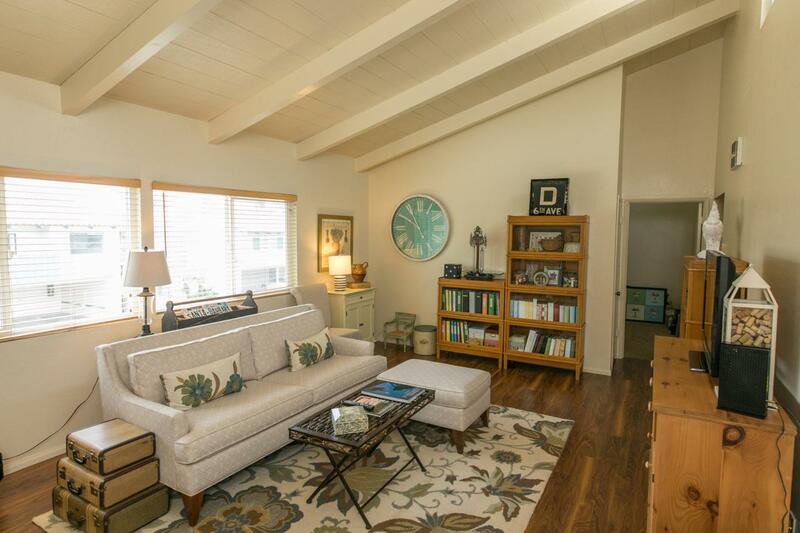 Both bedrooms have vaulted ceilings & lots of light. The master bedroom has a walk-in closet, while the second bedroom has a private South facing patio. Other features include two assigned parking spaces (one carport space with direct interior access) & interior laundry. The HOA fee includes water & trash, plus a community pool. 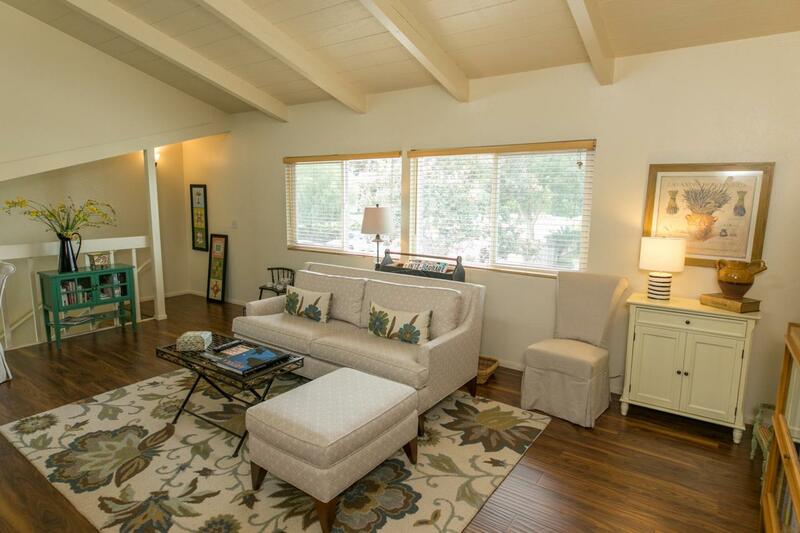 With close proximity to Calle Real shops, restaurants & theater, also located in Kellogg School District.